Fact: Plastic is pretty darn bad for the environment and your health. That's because a) plastic doesn't biodegrade, and b) it actually releases toxic chemicals (like bisphenol A, a.k.a. BPA) that can get into your bloodstream, which can in turn lead to health issues. In other words? If you haven't yet switched to using a reusable water bottle yet, Earth Month is the perfect time to start. That doesn't mean you have to settle for something boring, though. 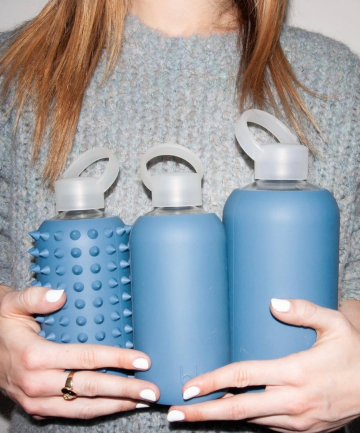 Tote your H2O around in style with one of these super-luxe water bottles, all of which are BPA-free. Whether you're headed to the gym or work, they make hydrating an easy and stylish experience.